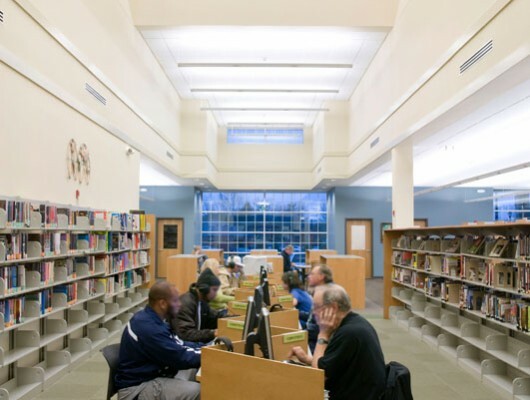 This project tripled the library’s previous storefront space and is the largest county-owned branch library in the Forsyth County Public Library system. 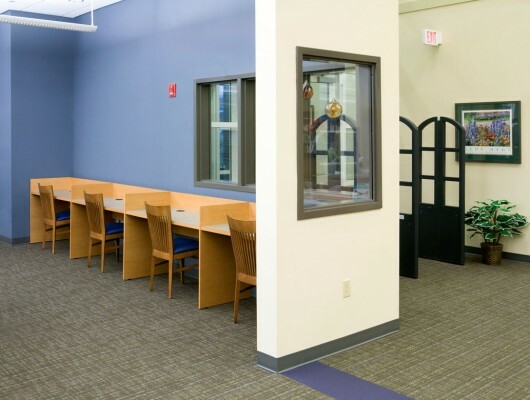 The interior design focused on the concept of “expanding horizons.” The library was designed with transparency to the exterior as a primary element. Floor to ceiling glass walls shielded with large roof overhangs serve as visual invitations to the public to visit their library. Natural light flows to the interior through a two story atrium and the shaded glass walls. Moving the library into the technology era while still focusing on print matter was key; the library has substantial media storage space, computer/internet carrels, and most of the tables have power access for laptops. 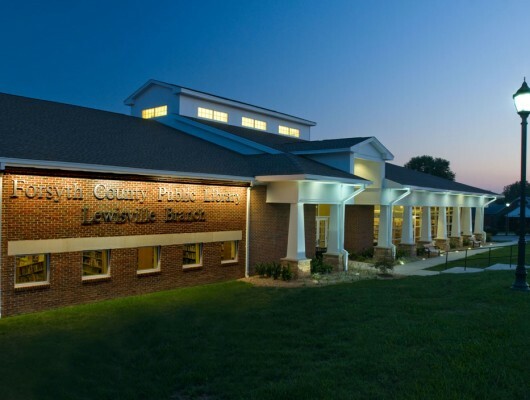 Located at the edge of Shallowford Square, the new library adds to the newly created downtown area for the Lewisville community. It takes its place as a community centerpiece across the street from a new public park containing an events pavilion, amphitheater, and playground.